Join little Madeline, her loyal canine companion Genevieve, puckish next-door neighbor Pepito and her 11 delightful classmates from Miss Clavel’s Parisian school when Shout! Factory releases Madeline’s Great Adventures on June 29 and Madeline’s Halloween & Other Spooky Tales on August 17. Sit back, gasp and laugh as Madeline and her friends encounter royalty and ghouls in these two collectable DVDs. A must-have for Madeline fans and DVD collectors, Madeline’s Great Adventures and Madeline’s Halloween & Other Spooky Tales will each retail for $12.99. Watch as Madeline and friends encounter their very own Arabian lamp, a visit from the Prince of Monaco, a band of pirates and even track down 40 charitable thieves in Madeline’s Great Adventures. As if those thrilling adventures weren’t enough, get ready for an action-packed Halloween! 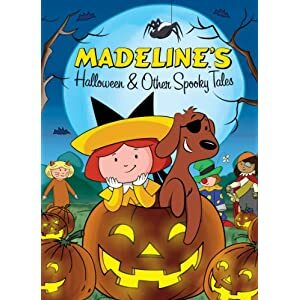 Madeline’s Halloween & Other Spooky Tales contains five spooky animated episodes making their DVD debut: Madeline's Halloween; Madeline and the Mean, Nasty Horrible Hats; Madeline and the Mummy; Madeline and the Haunted Castle; and Madeline and the Spider Lady. 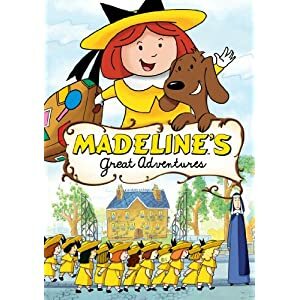 Inspired by the beloved classic books that introduced us to a dozen delightful girls who live in an old house in Paris covered with vines, Madeline’s Great Adventures and Madeline’s Halloween & Other Spooky Tales are full of spirited fun and are sure to win your heart while providing hours of entertainment.